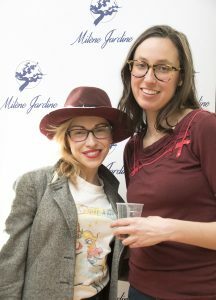 Barterhouse partnered up with two of our favorite artisans for an intimate afternoon event at WeWork Soho; The Cheese Grotto and Milène Jardine Chocolatier. 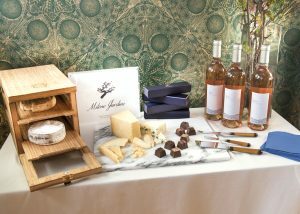 We brought along one of our top-selling rosés, Jules Côtes de Provence Rosé, which paired beautifully with Jasper Hill Farm cheeses from Vermont and Milène’s delicious truffles. 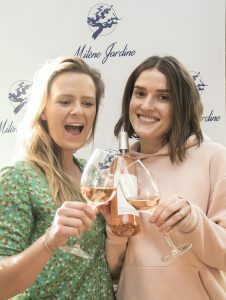 Various food influencers and bloggers enjoyed the tasting flights alongside presentations from The Cheese Grotto founder, Jessica Sennett, and chocolatier, Milène Jardine. The Cheese Grotto is a humidor designed specifically to provide ultimate cheese preservation. Hand-made in America using the highest quality materials, each Cheese Grotto is a beautiful display case for a deserving delicacy. Visit www.cheesegrotto.com for more information and to purchase your own! Milène Jardine Chocolatier offers artisanal, international chocolate truffles inspired by her personal mantra: Live by Love. 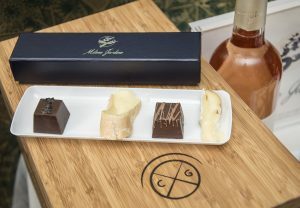 Milène creates high quality, artisanal chocolates made locally in a commercial New York City kitchen. With flavors changing seasonally, we can never get bored of these truffles! Visit www.milenejardine.com for more information.